Maclain Wells focuses on patent and trademark litigation. 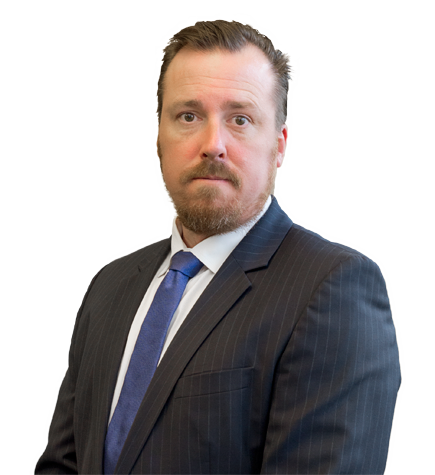 He has assisted clients in numerous intellectual property matters, including cases relating to digital video recorders, computer hard drives, LCD panels, software, pharmaceuticals, cancer diagnostics and treatment methods and online business methods. He also has experience in evaluating and licensing intellectual property portfolios. Representative clients include TiVo, the University of California at Santa Barbara, the University of Pennsylvania, eBay, PayPal, LSI/Agere Systems, Chi Mei Optoelectronics, Immersion, St. Jude and Guardant Health. Immersion v. Apple. Represented Immersion in multipatent action pending before the International Trade Commission and the Patent Trial and Appeal Board. The dispute involved several Immersion patents relating to tactile feedback technologies that were asserted against Apple devices. The dispute settled when Immersion entered into settlement and license agreements with Apple, the terms of which are confidential. TiVo v. Samsung. Represented TiVo in patent infringement against Samsung in the U.S. District Court for the Eastern District of Texas. The case involved TiVo’s claims under four patents relating to digital video recording technologies. The dispute settled on favorable terms. Motorola v. TiVo/TiVo v. Cisco. Represented TiVo in patent litigation over DVR technology against Motorola Mobility and Cisco Systems. On June 6, 2013, shortly before the start of trial, Motorola and Cisco agreed to pay $490 million to TiVo to resolve the litigation. TiVo v. AT&T. Represented TiVo in a suit against AT&T, alleging that AT&T's U-verse products and services infringed three of TiVo's patents covering DVR technology. In 2010, AT&T launched a counter-suit in California accusing TiVo DVRs of violating three AT&T patents. In January 2012, just days before a trial on TiVo's patents, AT&T agreed to pay TiVo a minimum of $215 million, plus additional fees in case AT&T's DVR subscriber base exceeds certain levels. TiVo v. EchoStar. Represents TiVo in connection with patent infringement suits in the U.S. District Court for the Eastern District of Texas involving DVR products and services. In May 2011, the court dismissed the case pursuant to TiVo’s settlement with EchoStar under which EchoStar agreed to pay TiVo a total of $500 million. Koninklijke Philips N.V. v. ZOLL. Part of the Irell & Manella LLP team that secured multiple victories for ZOLL, resulting in settlement on favorable terms. St. Jude Medical v. Access Closure. Represented St. Jude Medical in a patent case alleging infringement of St. Jude's patents relating to vascular closure devices. In December 2010, the jury returned a verdict of willful patent infringement and awarded St. Jude $27.1 million in damages, reportedly the largest jury verdict in any area of law in the Western District of Arkansas. The Federal Circuit affirmed the damages judgment on appeal. LG Display v. Chi Mei Optoelectronics. Represented Chi Mei Optoelectronics in a set of patent litigations involving LCD panel technology. NXP v. LSI and Agere. Represented LSI and Agere in a set of patent litigations involving semiconductor manufacturing technology and circuit design. Netcraft v. eBay/PayPal. Represented eBay/PayPal in a patent infringement suit brought by a non-practicing entity. In 2007, eBay/PayPal were awarded summary judgment of noninfringement. In 2008, the Federal Circuit affirmed the district court's ruling. AmberWave v. Intel. Represented AmberWave, a company founded by an MIT professor and his students, in a set of patent litigations relating to advanced semiconductor materials and manufacturing processes. Represented various clients in preparation for litigation, in arbitration and in inter partes review on patents relating to online advertisement generation, online payment methods, nucleic acid therapeutics, genomic testing and more.